An ACDelco GM Original Equipment Window Regulator will keep your windows running properly and are a GM-recommended replacement for your vehicle’s original components. This original equipment window regulator is engineered to fit your specific GM vehicle and will provide the same performance, durability, and service life you expect from General Motors. 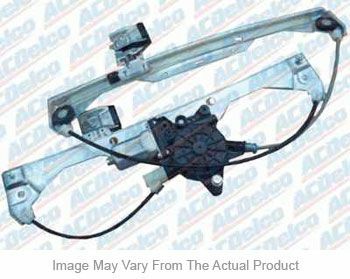 Get the GM quality you know and trust with ACDelco GM Original Equipment Window Regulators and Motors. Stay with the parts brand your General Motors vehicle came with and get peace of mind that the fit, form, and function is up to the high standards and specifications of General Motors. ACDelco GM Original Equipment Window Regulators and Motors are engineered for virtually every make and model of GM car, light duty truck, and sport utility vehicle.